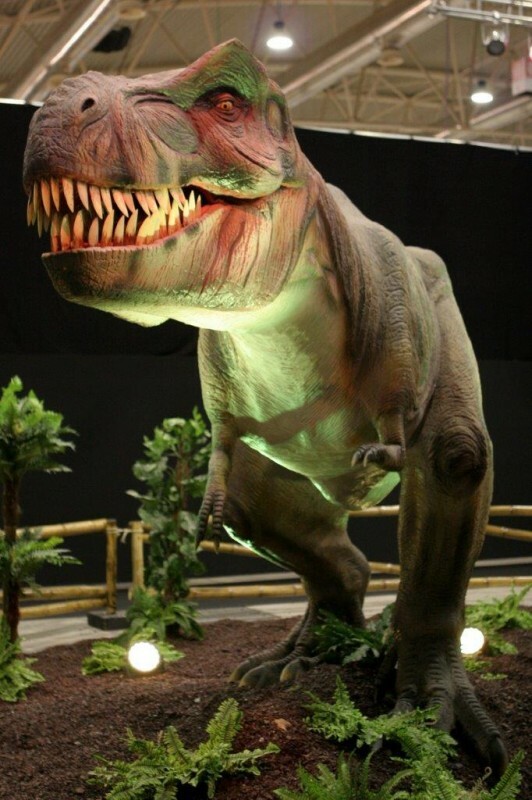 Bush Radio 89.5FM is giving away two double tickets to the Days of the Dinosaur exhibition at the CTICC. The Days of the Dinosaur is an interactive exhibition, filled with relevant and up-to-date scientific research including life-size dinosaurs which move. Different kinds of educational information will be available, including information on the geological eras – Triassic, Jurassic, and Cretaceous eras. A large interactive area for the young ones will keep them busy for hours. This includes a sand box excavation, photo opportunities and a 3D movie theatre. This competition is taking the form of a lucky draw, so enter often to improve your chances of winning. The lines will close at midnight on the 31 July 2014. The winners will be drawn on Friday the 1st August and announced in the Morning Cruise on that day (from 9am-12pm). NB: The tickets are for the show on Monday, 4 August 2014 at 1pm only – not transferable. Please only enter the competition if you can make this performance. This entry was posted on 29/07/2014 at 11:59 AM and is filed under competitions, Uncategorized. You can follow any responses to this entry through the RSS 2.0 feed. You can leave a response, or trackback from your own site.